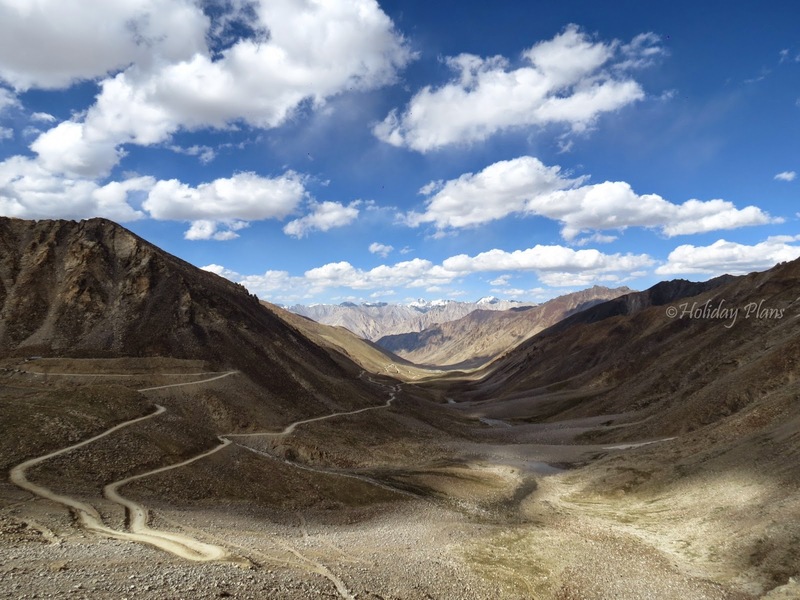 This is our third article in a series of articles on Leh-Ladakh.To read from the first article click here. 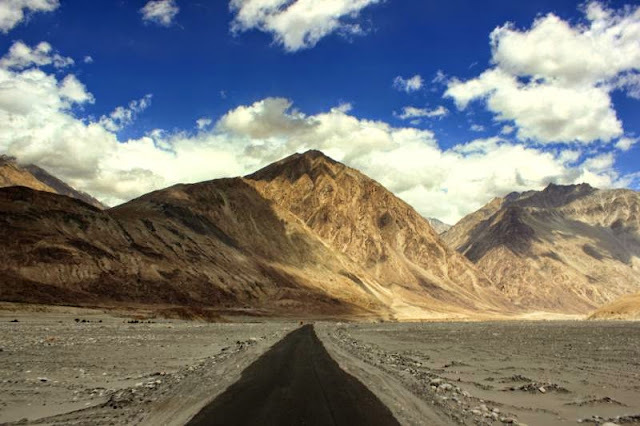 Nubra Valley is at a distance of 150 km from Leh and to be honest the journey to this part of the world is even more adventurous than the one to to Pangong Lake. 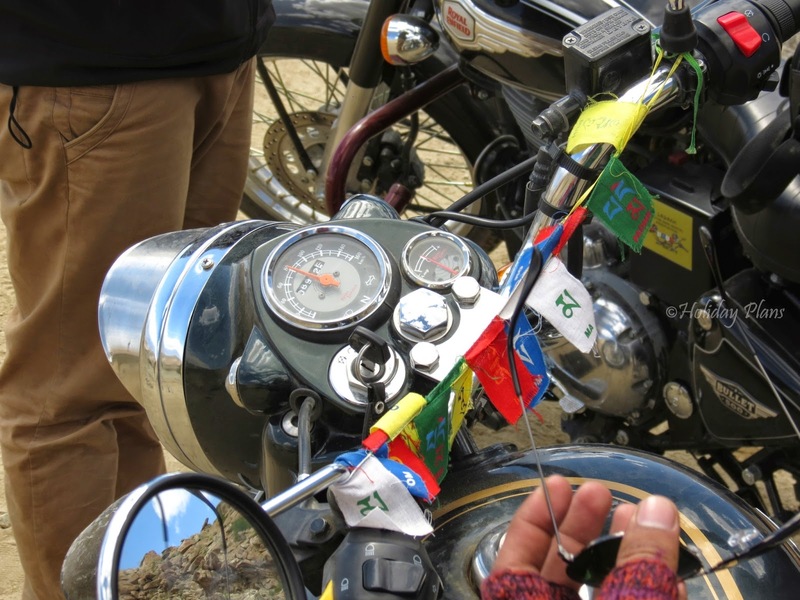 We started early in morning, with our Royal Enfields filled up, an extra 5 litre petrol-can be taken and luggage tied to our bikes. Don’t forgot to take your IDs and permits- as they will be checked this time around. The scenery is serene and breath-taking which you can see from the photos below. For those who are riding bikes, it will one of the best journeys of your life!! 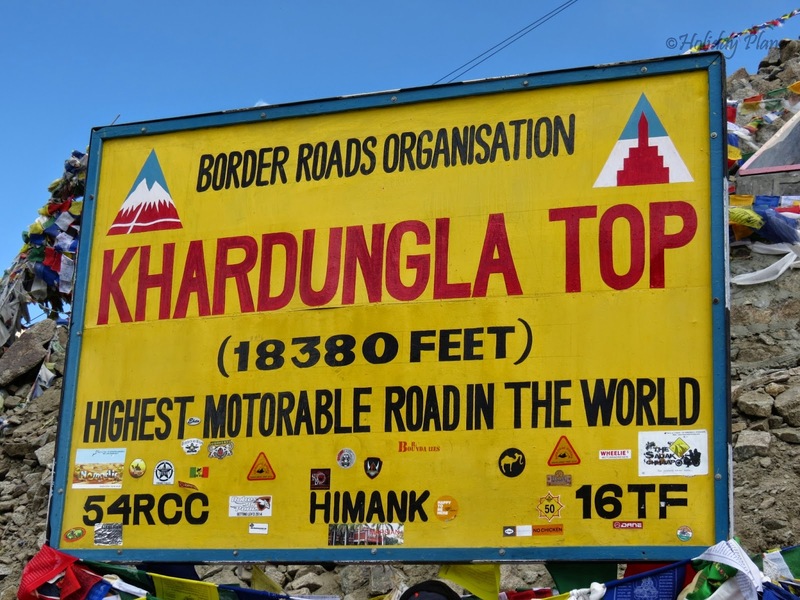 The temperature starts dipping as one draws closer to the highest motorable road in the world-Khardung La. 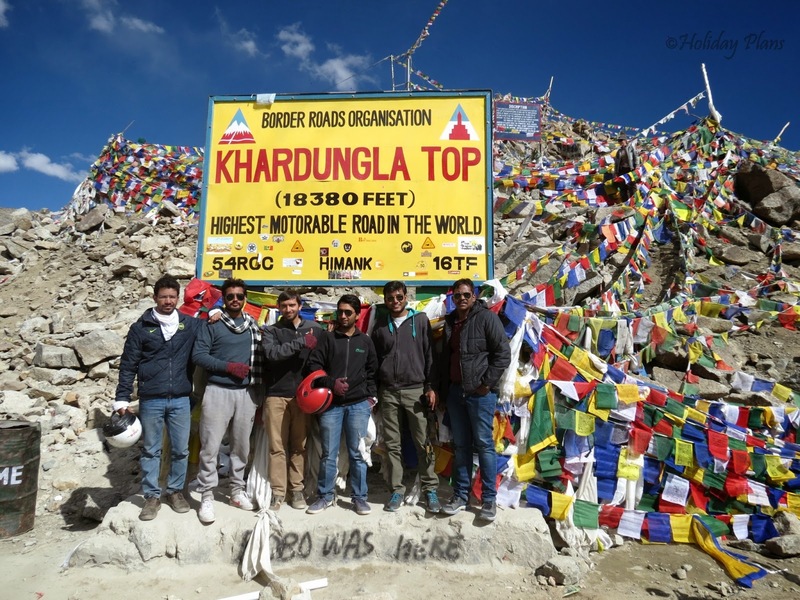 At 18,380 feet, BRO board welcomes you to Khardung La. 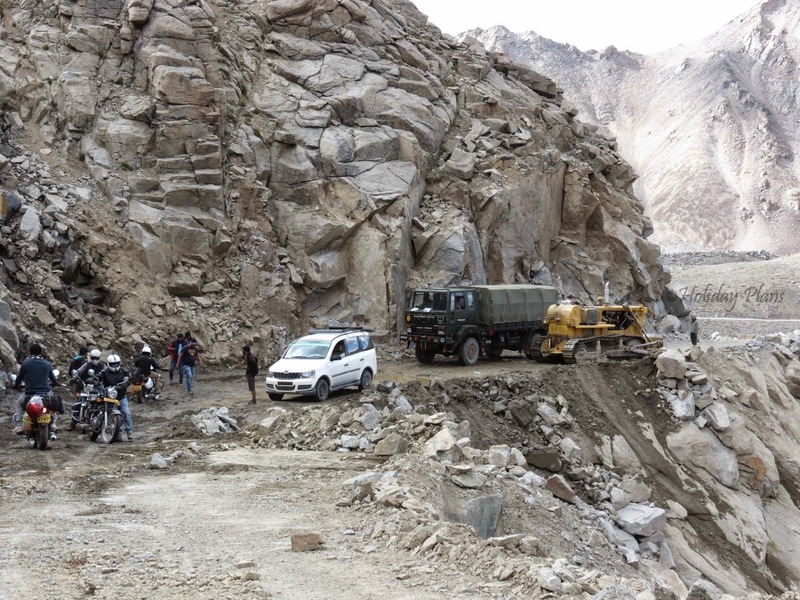 The pass is an important gateway to Shyok and Nubra valley (for going to Siachen glacier). After reading Maggi story, the hunger for Maggi had increased. 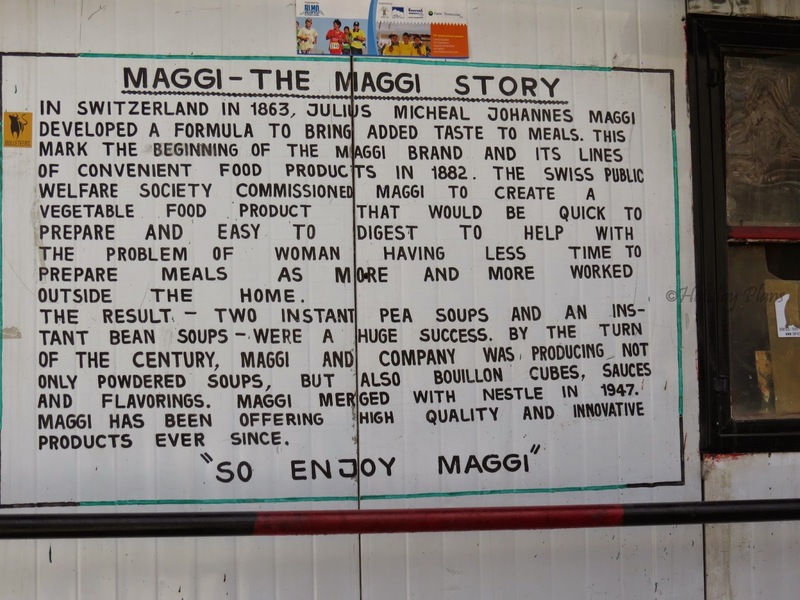 But fortunately the Maggi was out of stock in the canteen. We had to compromise with some snacks and cold drinks. The board outside the canteen says “Staying for more than 20-25 mins can be harmful to your health”. Because of such a high altitude, people can get AMS (acute mountain sickness). So it is advisable not to hault here for too long. Filling our bellies with enough diet, we started burning the memory card of our camera. 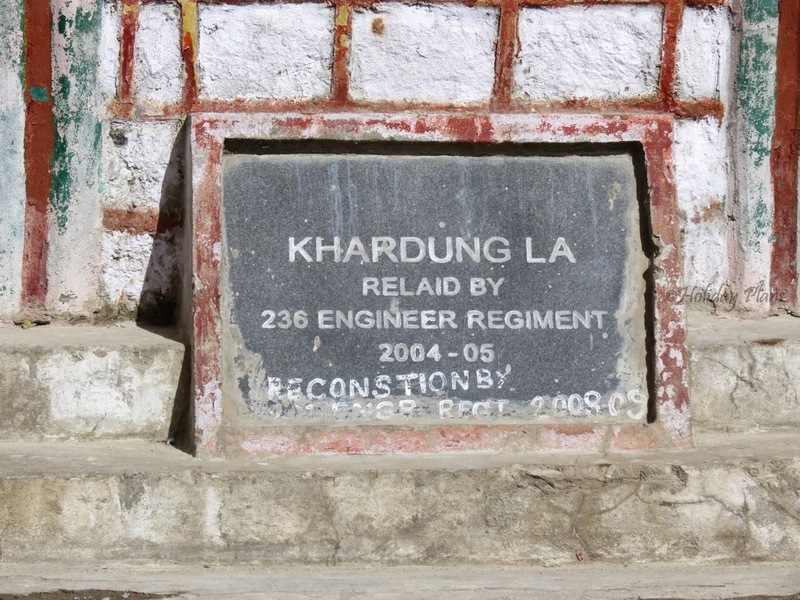 “Jise dekho Khardung La k welcome board ke aage photo khichwa raha hai”. People were waiting for their turn as they just wanted to get clicked and leave. 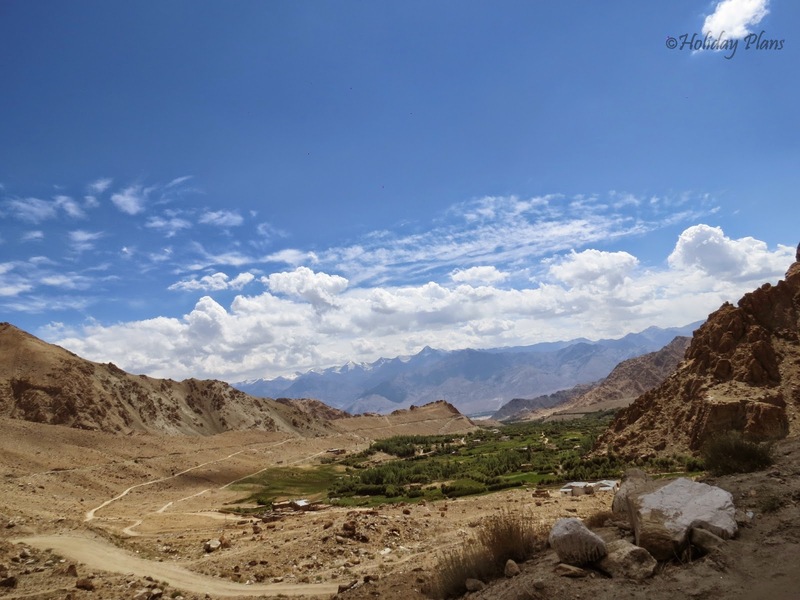 Nubra Valley was still more than 60 kms from here. On the way, you’ll see beautiful sceneries, the kind of one you have always kept as you desktop wallpaper. Keep capturing and keep moving. There was a small stoppage due to bad condition of road and we had to step down from our bikes and go on foot. BRO was doing maintenance of that part. The beautiful sceneries continued, so did our “breaks” to capture them in our camera. Melting glacier and shooting stones from great height will keep your journey full of adventures. We stopped North Pullu check post. Our permits and IDs were checked. We had our lunch here in the small shops adjacent to check post. The shops here have limited items on their Menu but whatever there is, all of them taste perfect. We took Maggi, fried rice, noodles, lemon tea- all these were so awesome in taste that we had already planned to stop here on our return journey. We increased the speed of our bikes, and the DUG, DUG, DUGGG…. sound in the valleys , with awesome sceneries everywhere will just make you ponder upon 2 thoughts ; “Why the hell I didn’t come here before and When will the next time I visit this place again”. We kept looking and taking shortcuts and some of them really saved our time, with some extra adventure ;-). The sun was dipping down the mountains and we took a much needed break sitting next to Shyok River and clicking some selfies in the awesome background. 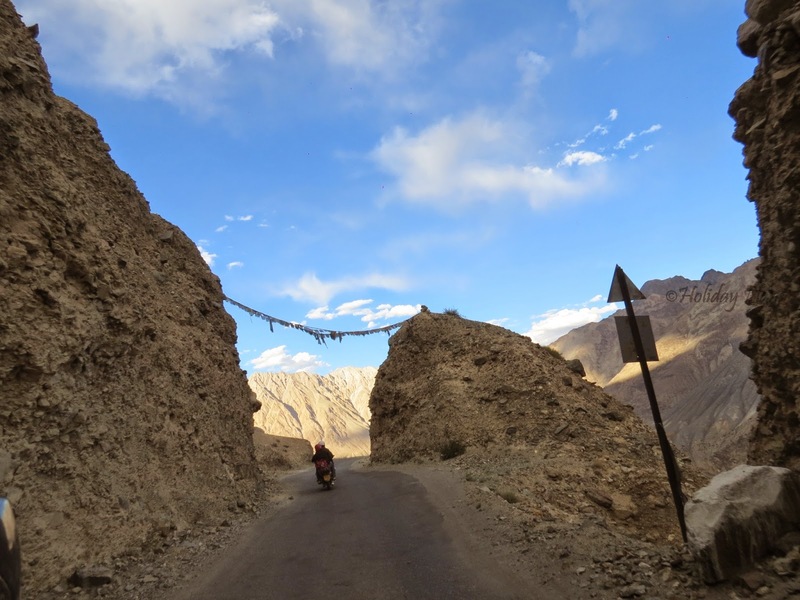 Some 20 kms before Diskit you will come across a very long plain stretch of road (2-3 kms). 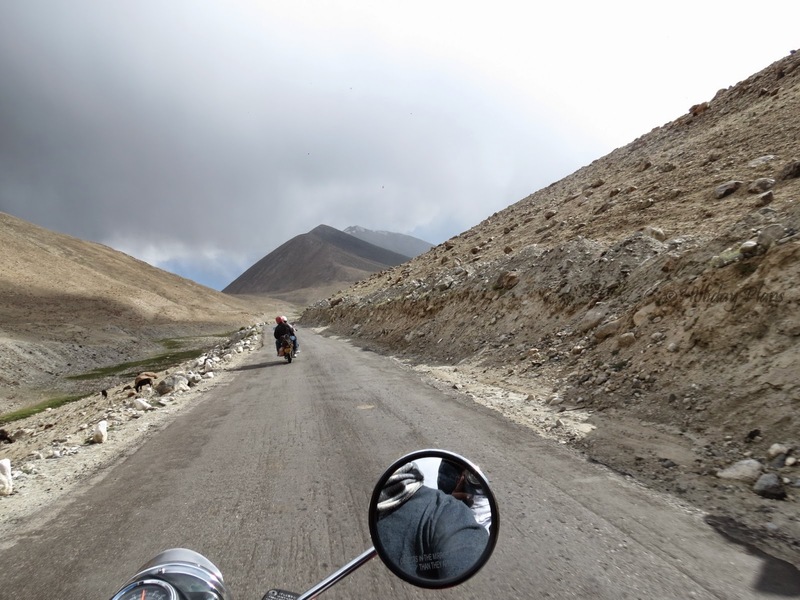 With mountains on both sides and the road in front of you, it was hard to control the adrenalin rush to ride slow. This part of the ride will make you want to take it again and again. You are now on Diskit- Turtuk Highway. 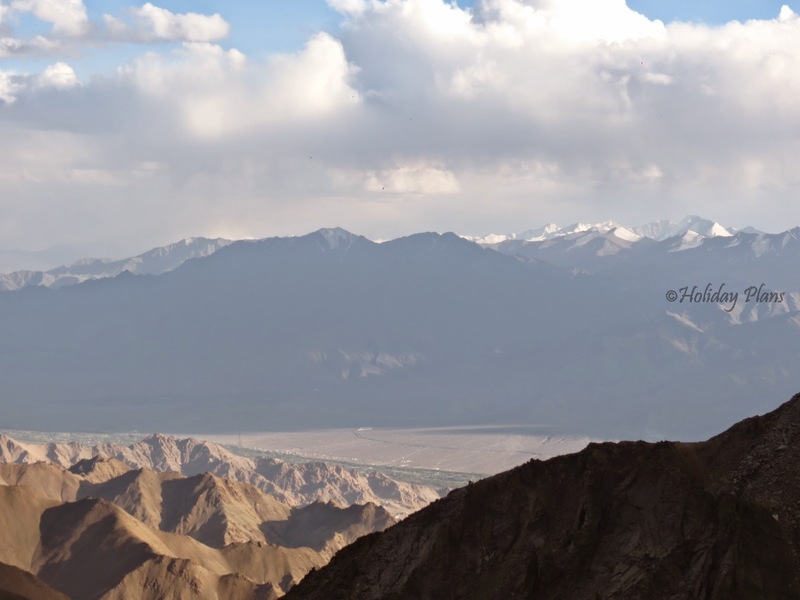 While crossing the Khardung Village, one will see the best sunset ever seen in one’s life. 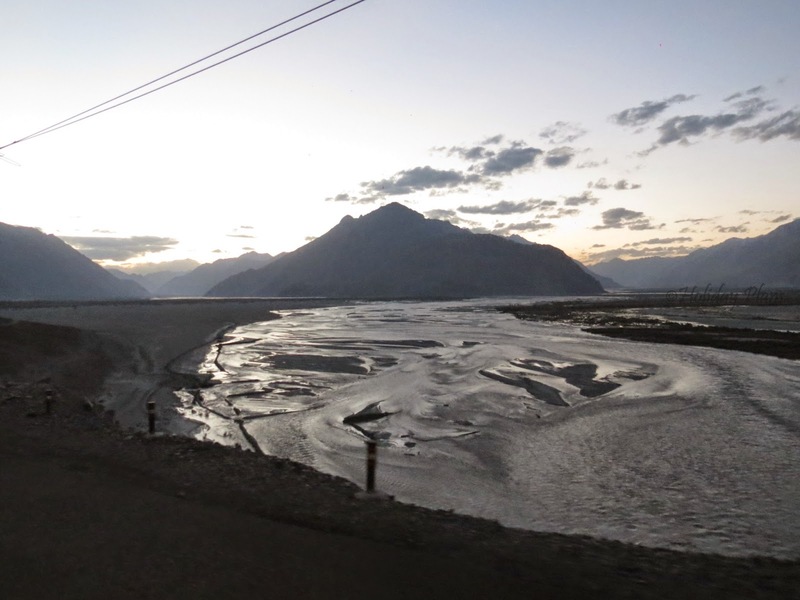 With layers of mountains, clouds rushing, sunlight scattered all along, the Shyok River flowing towards the horizon the picturesque scene will make a deep impression in your heart. The road will take you to Khalsar. 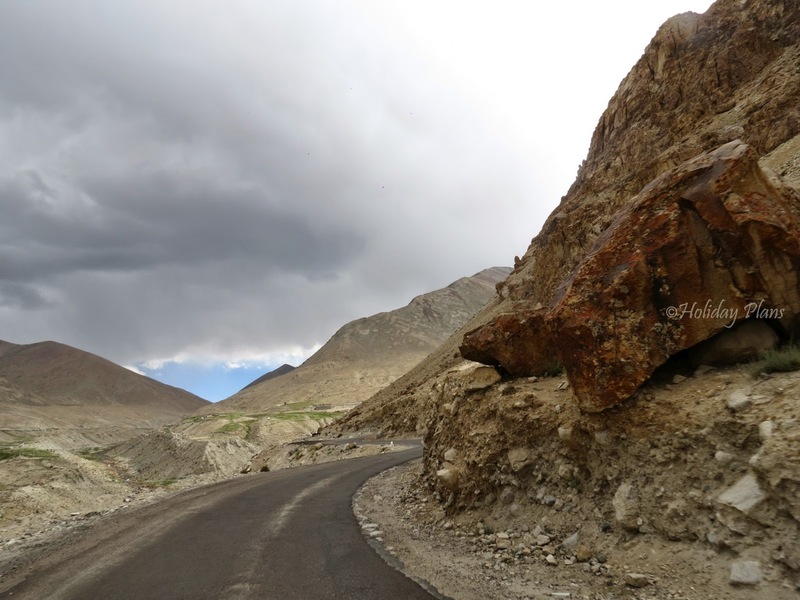 Just before reaching Diskit, 2 adventures – a hole in petrol can with leaking petrol (God knows when that happened) and short-circuiting of the wire of the horn reminded us that the journey will never be smooth. Hunder is about 20 kms away from Diskit. We reached Hunder by 8 pm. And just in case you’ve got some time just look at the sky. You’ll get your answers as to why you took this 150 km adventurous journey. A sky full of stars- literally, so many stars you might not have seen a sky such as this in your life. The silence of the valley just made the whole scene even more beautiful. 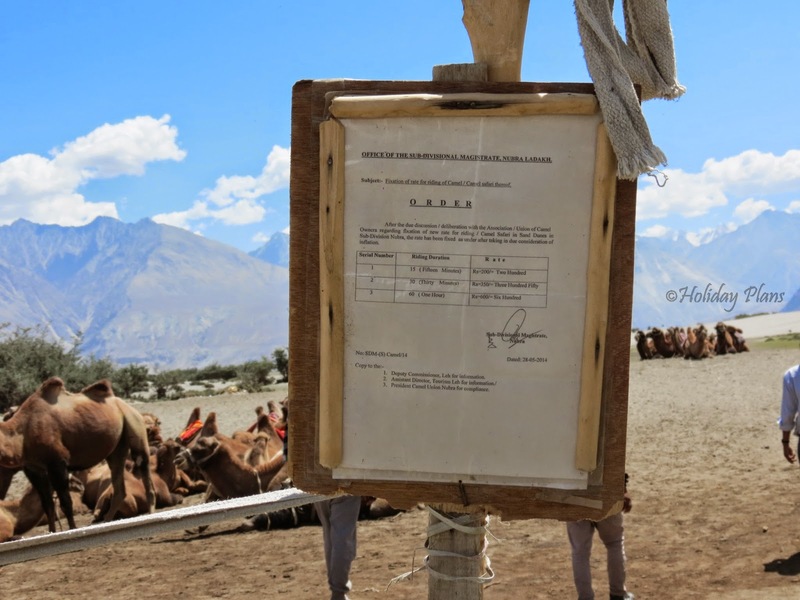 And if you had planned your trip with a little extra care that included Nubra Valley on a no moon night, you’ll have the best experience of your life. 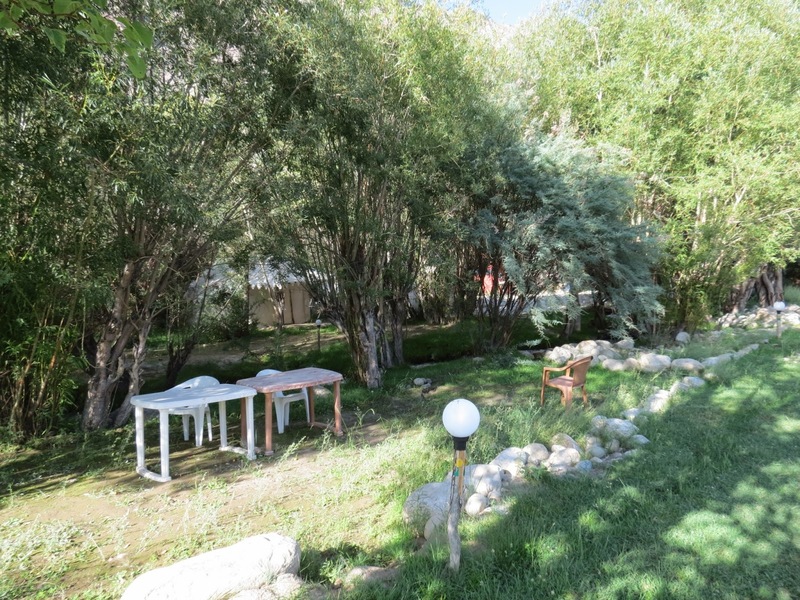 Sitting outside the tents, playing cards with river flowing nearby – I wouldn’t have asked anything more from nature. Lucky ones can see a part of Milky Way galaxy as shown in pics below. The next morning after having a good buffet breakfast we left for the double hump camel ride – Bactrian camel. We decide to take the camel ride in Hunder only in order to save time. 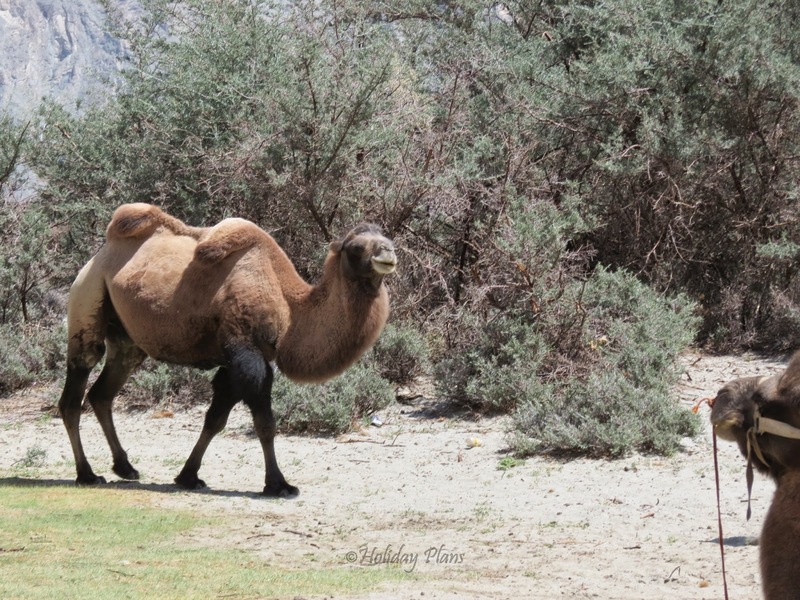 The double hump camels are very rare and found in Nubra Valley and some parts of Mongolia only. The rates for the camel ride are fixed by the Magistrate office. Bargaining was a futile effort. Five of us took the camel ride and believe me the fun was worth the cost. It was sunny and the feeling of camel ride in the desert was just priceless. One thing you’ll notice about the place while enjoying the ride is that you can see snow peaks, dusty brown mountains, desert, river, fauna and green flora all at one place. Enjoying the ride for half an hour and playing in sand dunes of the desert, we left for our next stop- Diskit. 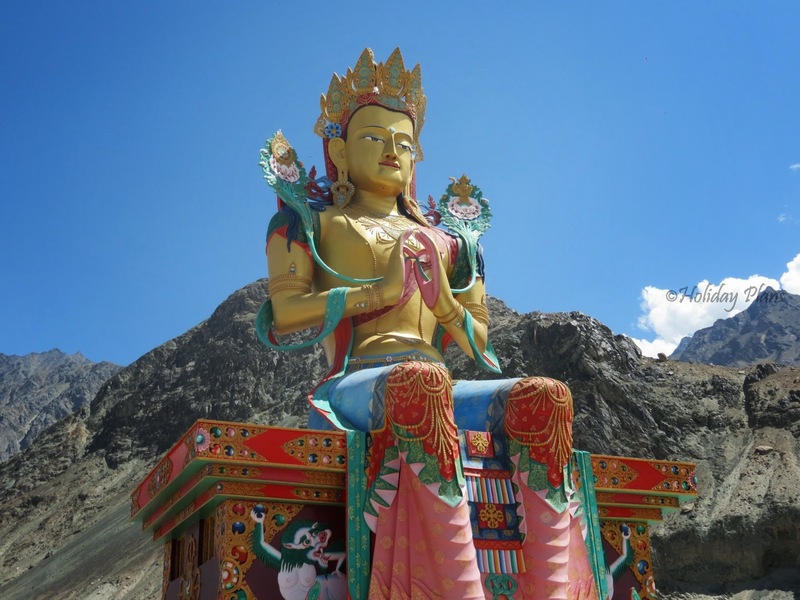 Diskit is a small village famous for monasteries and Maitreya Buddha statue. This is a huge statue and you’ll love to get clicked in its background. There is a museum also where you’ll find pictures of Dalai Lama and Buddha. Meanwhile the adventure ghost was back having some fun with the silencers of our bikes. 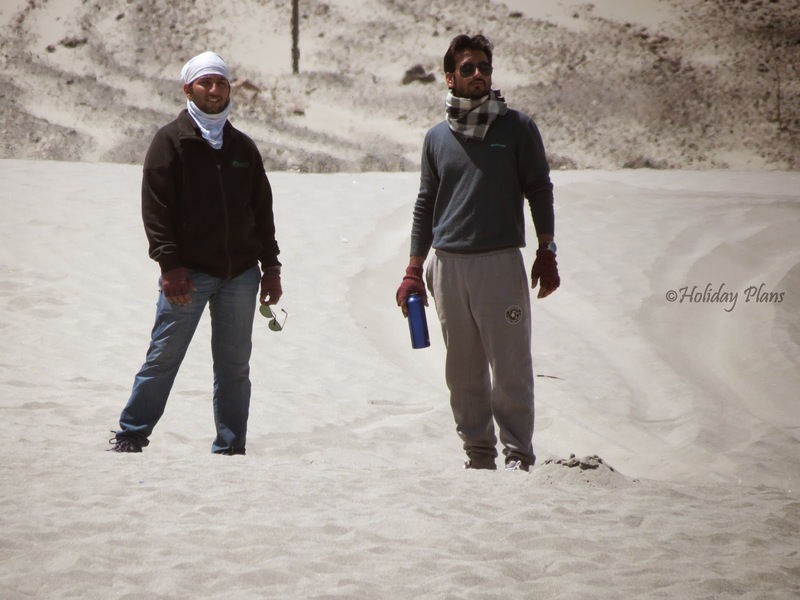 We searched for mechanic in Nubra, it was tough to find one but we found with some asking here and there. 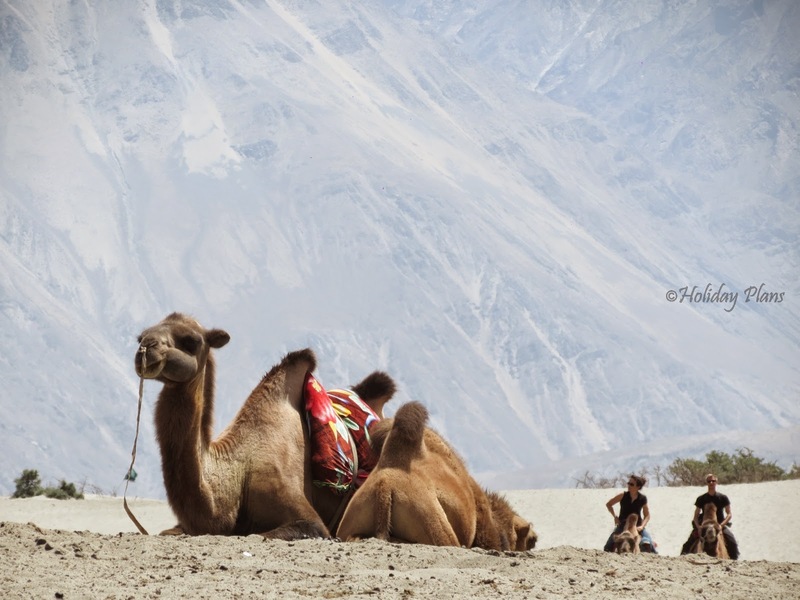 The best part of the Nubra journey is its beautiful scenery only. 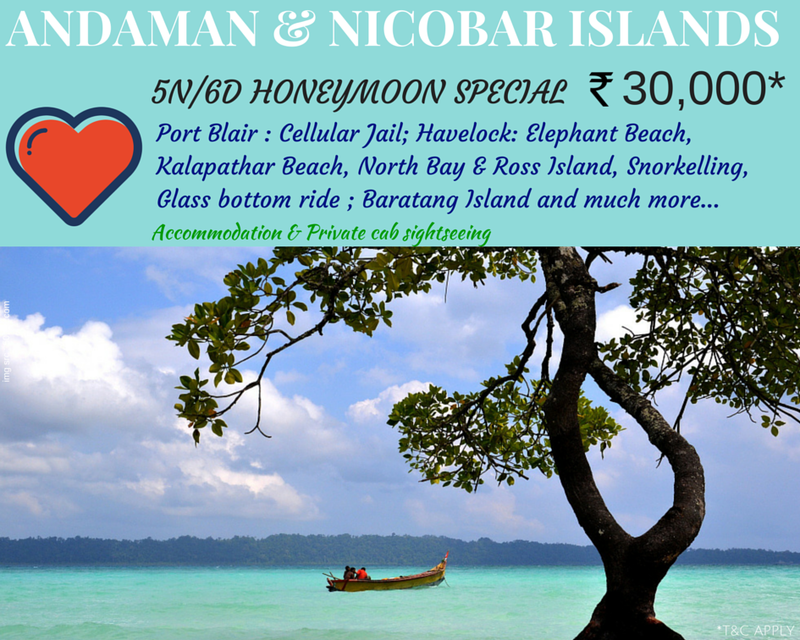 You will enjoy riding bike here the most. 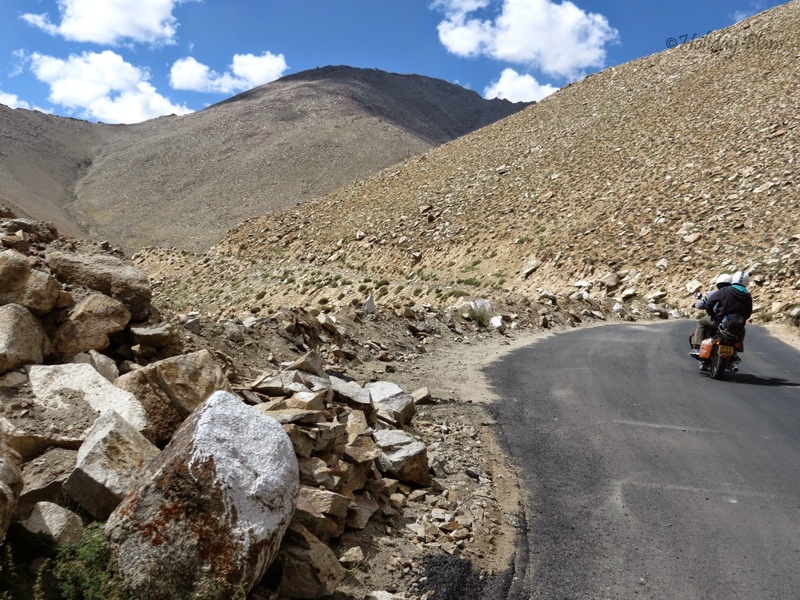 On our return journey the clutch wire of our bike broke and we were stuck in between Leh and Nubra valley like “Dhhobhi ka kutta na ghar nag hat ka”. Thanks to the two bikers who lend us the spare clutch wire they had and one sardarji who helped us fitting that in our bike. The adventure and thrill never leaves you in this journey as you should always be prepared for some. Lesson Learned: You should always carry important spare parts of your bike. 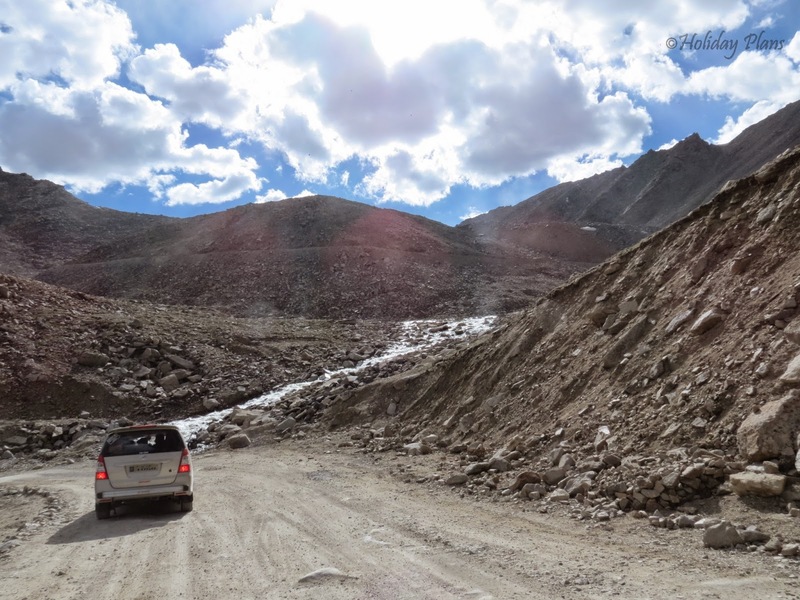 The weather was getting disturbed as we were about to reach Khardung La on our return journey. We could see grey clouds and it was clear that it was raining in the mountains. As we proceeded we could feel some rain drops and I was praying to God for some snowfall at Khardung La. The God did listen to me but I had already left the place. 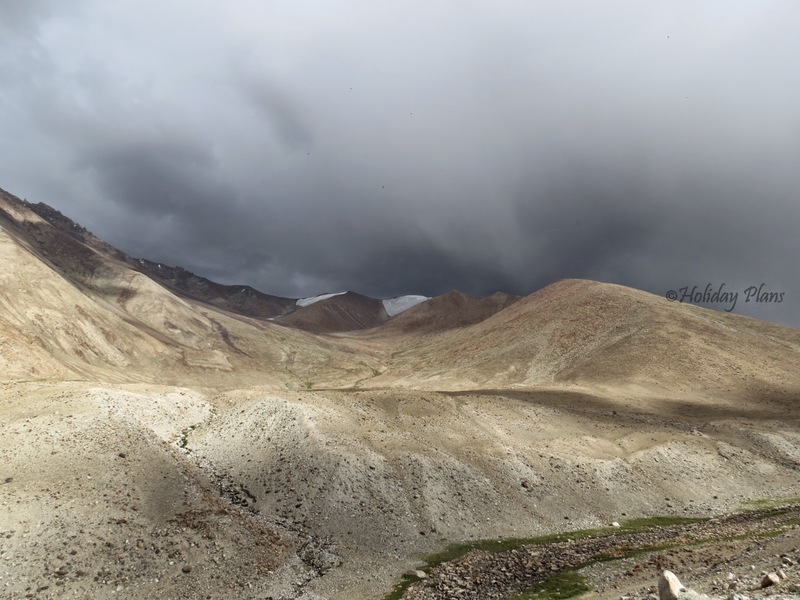 When we were descending down, high speed chilly winds, dust storm, rain droplets, minuscule snow were a clear indication that it was snowing at Khardung La. 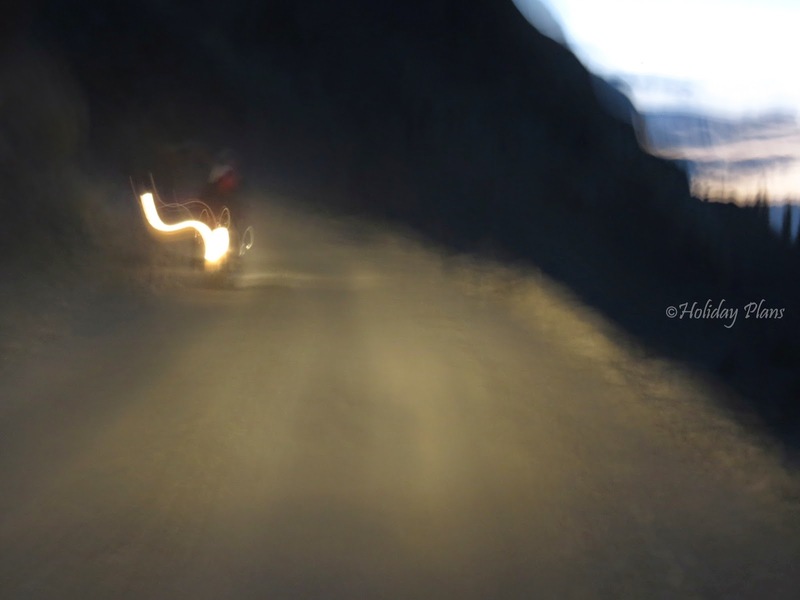 We reached Leh by late evening taking very adventurous shortcuts down the mountains, through small villages in Leh. 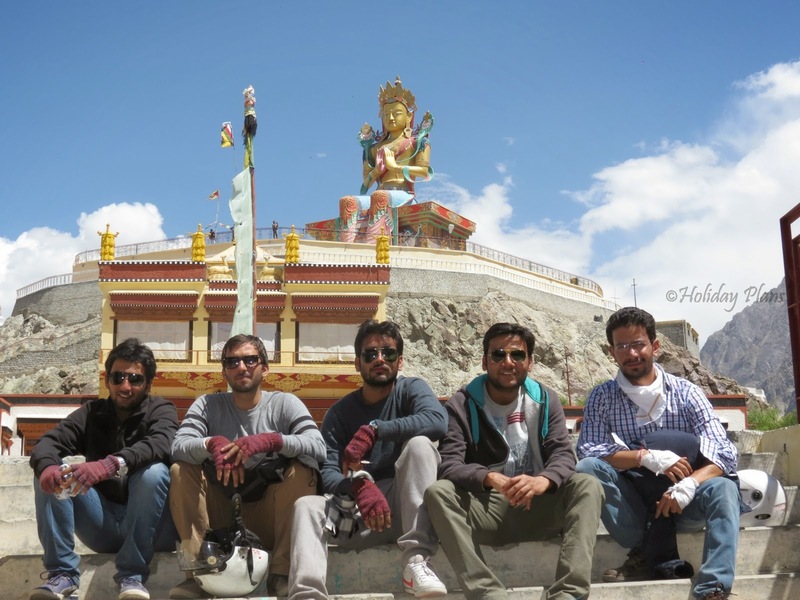 We will cover Hemis Monastery, Thicksey Monastery, Shey Gompa and Leh Palace, Shanti Stupa in our next article. Stay connected for next article. 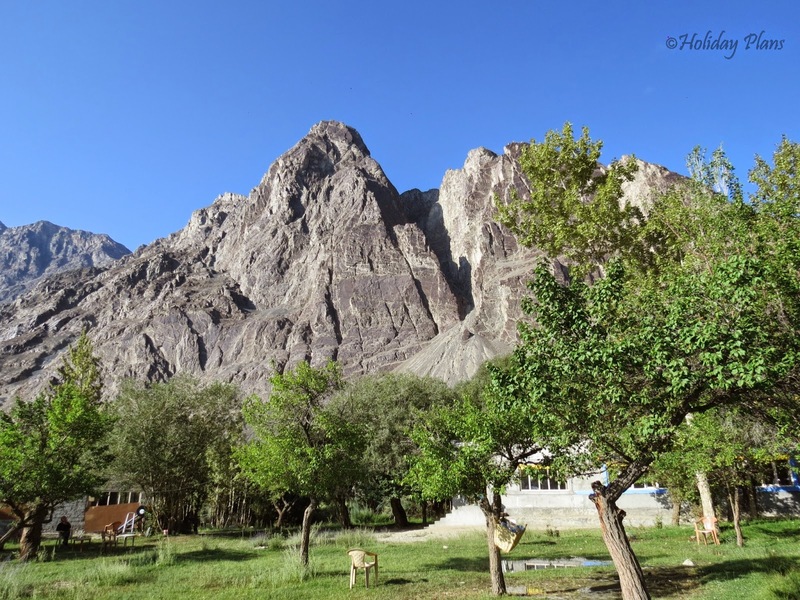 Thanks for reading and if you are still there with me, check out more exclusive pics of the Nubra Valley in the Gallery section. 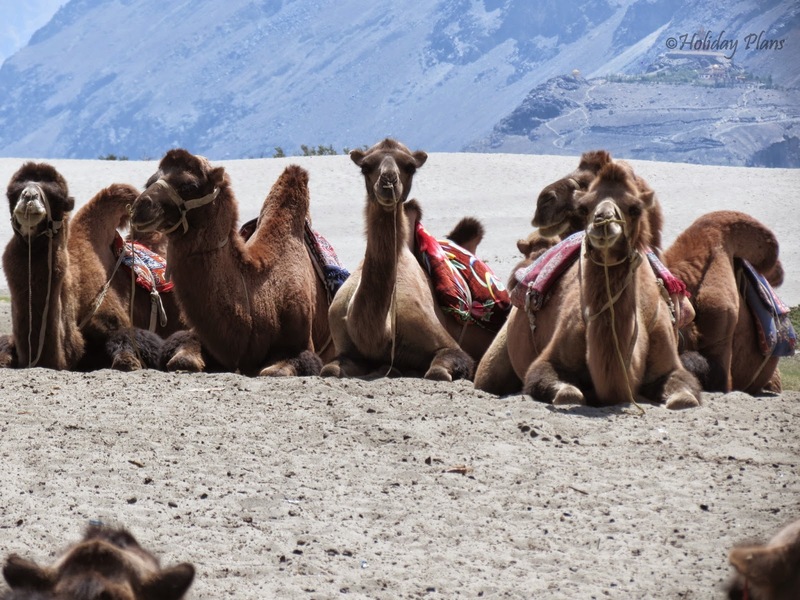 Exotic flowers, cold desert, spectacular view of the sand dunes and snow clad moluntains,the very enjoyable Buctarian camel ride makes this a worthwhile experience. A challenge for all!! Try to imagine a better place than this. And for star gazing group this is the most perfect place for you. 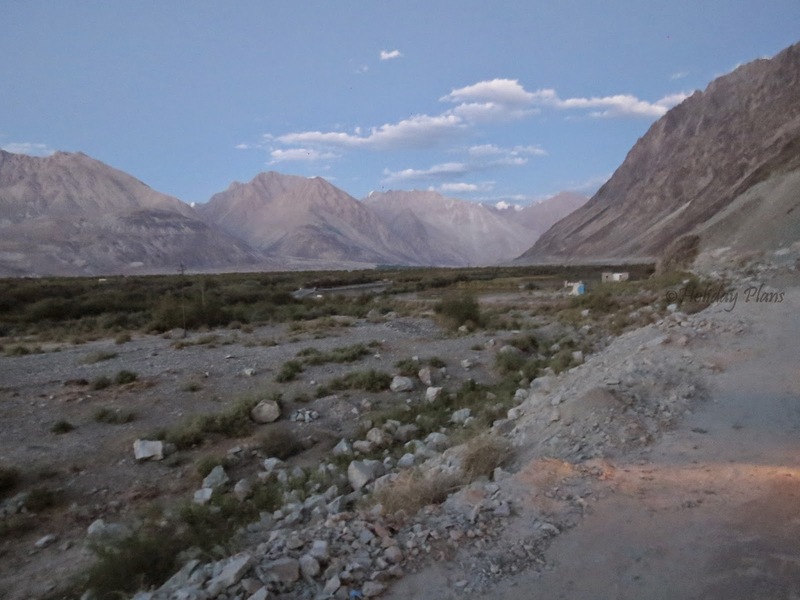 Deep valleys of the Shyok and Nubra Rivers offer tremendous scenery.